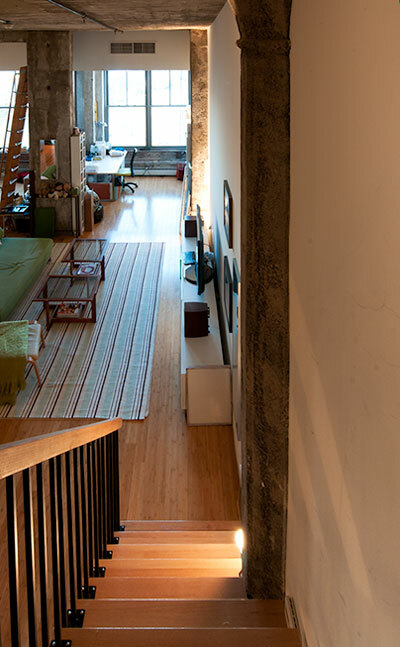 One of the more architecturally interesting lofts at Porter 156 boasts a huge floor plan, amazing factory detail and a true canvas to create the loft you have always dreamed of! 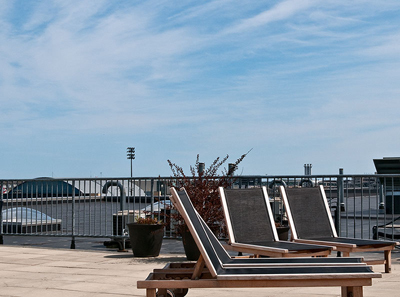 Third floor lofts at Porter 156 are always desirable and sought after, but this one is a step above the rest with its unique layout and amazing attention to detail. All of the best factory features were restored to their turn of the century glamor with the architectural beams, rustic brick and exposed concrete ceilings that soar to eighteen feet. But what also makes this layout extraordinary is the extra space you get with two alcoves that you can use to separate additional rooms. The one of a kind layout makes this home a great find! With 1000 square feet on the first level and nearly an additional 200 square feet on the second level that offers a nice private bedroom, this space is a terrific size. 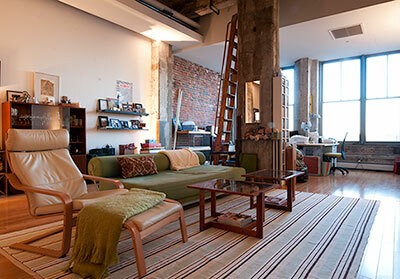 Overlooking a fantastic new park as well as the original factory smoke stack, it is very cool to live in this loft! A little bit of new and a little bit of old - truly the best combination. 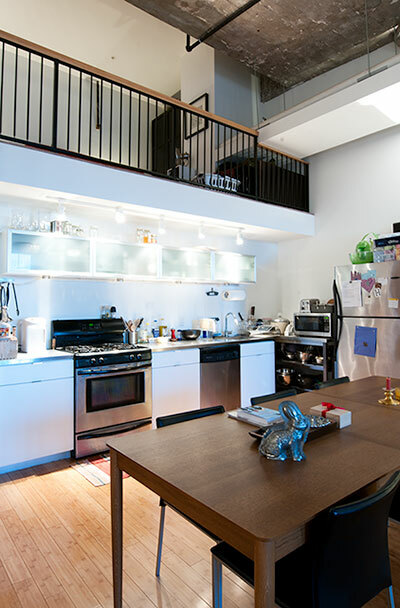 The stainless steel kitchen is open and airy also making this an easy home to entertain in. 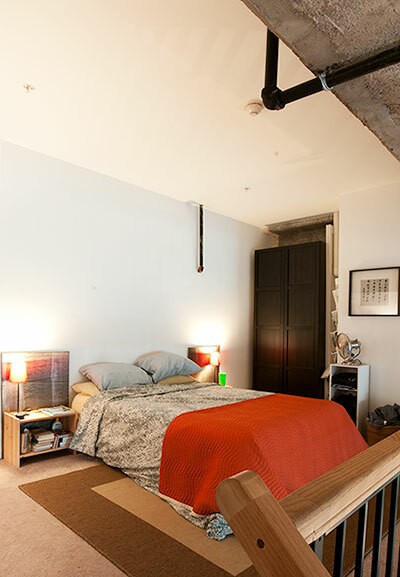 Garage parking completes the package in this well established loft building that its residents love to call home! 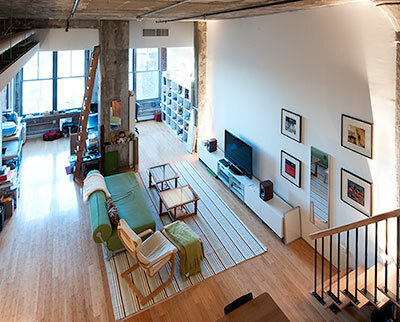 The depth of this loft is amazing! The space it offers is outstanding and you feel like it just goes on and on...With light pouring in all day it's also cheerful, comfortable and a home you will truly appreciate coming home to each day. 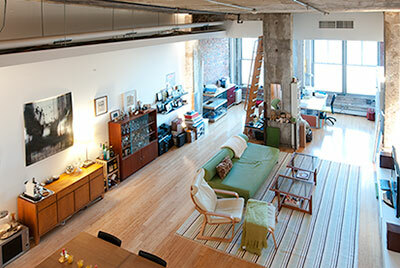 The two extra spaces beyond the original beam in this loft are extraordinary opportunities to work with. Keep it open or divide some space for a study, second bedroom or anything you need - the beauty of this space is its versatility! Living, dining, sleeping....it's all here and it all fits perfectly. 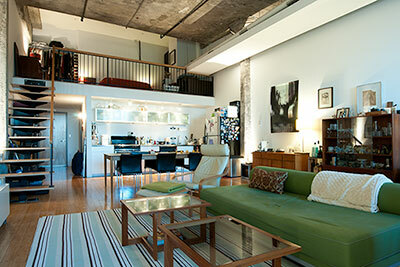 One of the larger spaces in the building, you may never grow out of this home! With Sleek cabinets, custom lighting and all the best appliances, including gas cooking, this kitchen is one you will love! 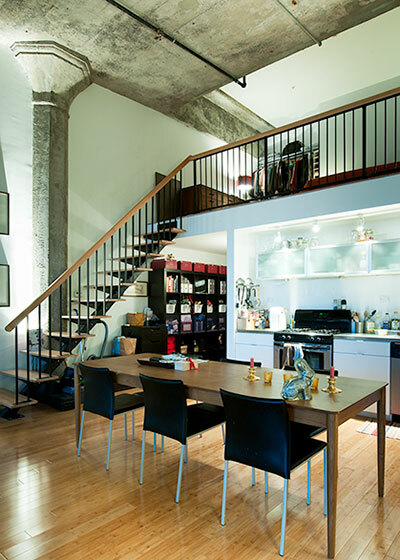 So nice to have plenty of space for dining, whether it is formal or casual, this loft can accommodate you and all your guests with ease. 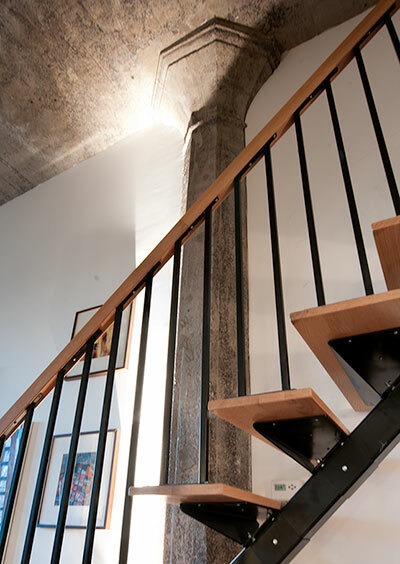 Keeping with the architectural flow of the space, these stairs are rustic, yet chic. They lead you to a separate bedroom, which leaves the space below open and lofty. With warm carpeting and ample space this bedroom is cozy and practical - a nice feature to have in any home. 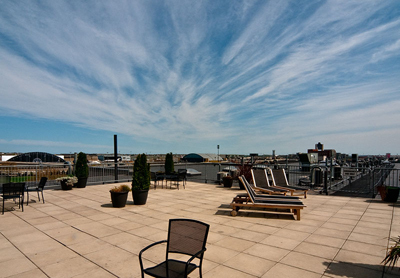 The roof top deck and entertainment room are fabulous amenities to have while you live in the building in addition for re-sale in the future. 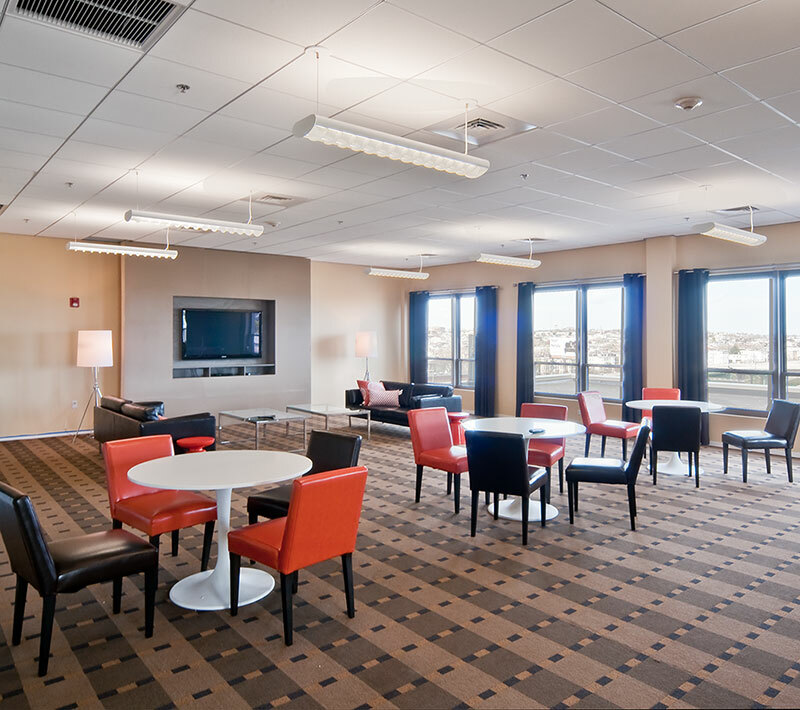 Everyone loves to relax and have events in this stunning media room and the roof deck offers the best views of Boston and beyond. Be ready to be WOWED! 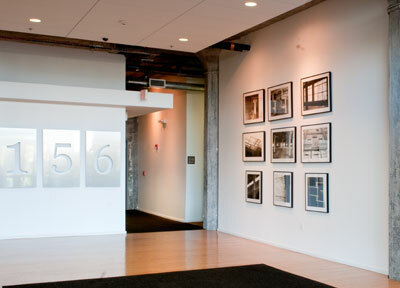 This 1912 former bra factory stands proud in one of East Boston's most desirable neighborhoods. Steps to the T and easy access to the tunnels for a mere 40 cents makes traveling anywhere very simple. However with all the restaurants, cafes and shops that are emerging in this rapidly developing neighborhood, you may just decide to never leave!